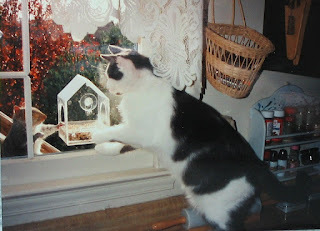 Linda Grimes: Visiting Reality : Book Yammering or Pet Pictures -- You Decide! 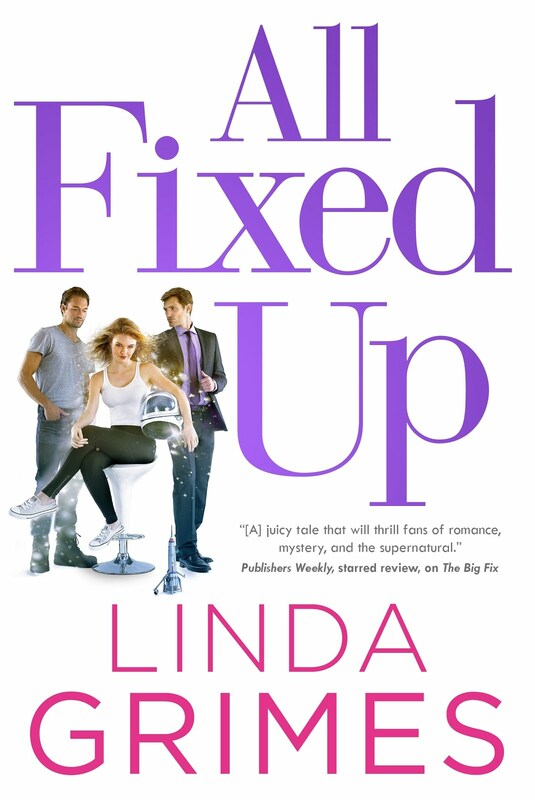 Okay, I can officially say this now: IN A FIX comes out next month!!! One month from tomorrow, to be precise, but since it's now August, and my pub date is in September, I can still say next month. Um, sorry. Just had to get that out of my system. I mean, everyone knows the wheels of traditional publishing turn slowly, and sometimes it seems like that elusive publication date will never arrive. When it finally starts to loom larger on the horizon, it's kind of exciting. 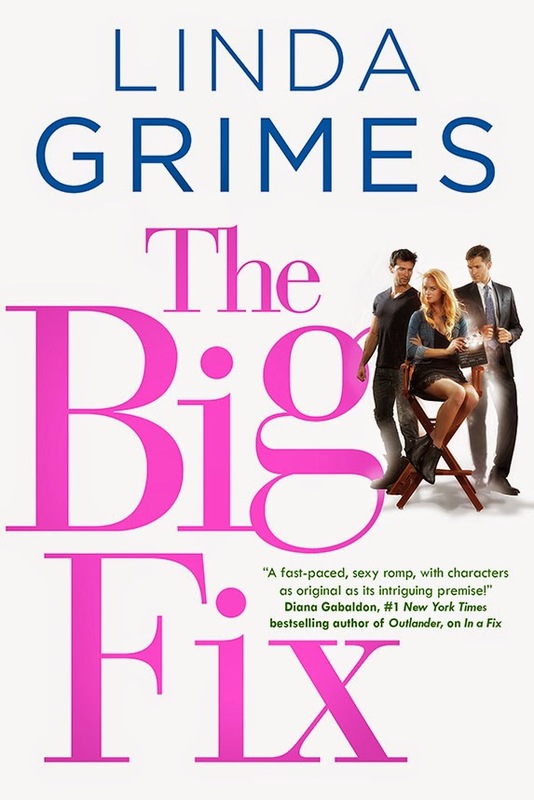 But I'm sure incessant posts about the subject must get old after a while, so I promise I'll try to contain myself between now and my freakin' book release next month!!! The thing is, when something like this is going on in your life, it tends to become all-encompassing. It crowds a bunch of other stuff right out of your field of vision, so it's harder to come up with other blog topics. There now. That's a break from incessant book yammering, right? What's your position on incessant book yammering -- pro or con? What's your position on squirrel-cat relationships -- do interspecies love affairs really stand a chance? Mine is September also so it's been such a relief to say "next month" for me too. And to answer your question, I don't mind hearing about books coming out. After all, we're in the same business and this is business talk. I see absolutely nothing wrong with writers expressing enthusiasm about their books! I have my pet peeves about certain types of promotion that goes on endlessly but that's a different topic. As for interspecies relationships - my cat has a fetish for the bird who made a nest in one of the crepe myrtle bushes in my yard. To see the two of them together is hilarious. The cat jumps up to get the bird, the bird swoops down to ping the cat. My father comes up every day to sit and watch the show. Mine came out two days ago! Linda, It is SO hard to know what to do! You're supposed to promote your book, but you also wonder if you're driving everybody else crazy by talking about it all the time. As far as I'm concerned, please continue to share your excitement and your journey. I get it! I've been there and I'll be there again in six months or so. I'll let you know if it crosses the crazy line if you'll do the same thing for me, okay? But seriously? You've done good work, and you can talk about your book. It's exciting! Yammer away. I've been doing it for a couple months now. Wait...you wrote a book? OMG, congratulations! I love both book yammering AND pet pictures! 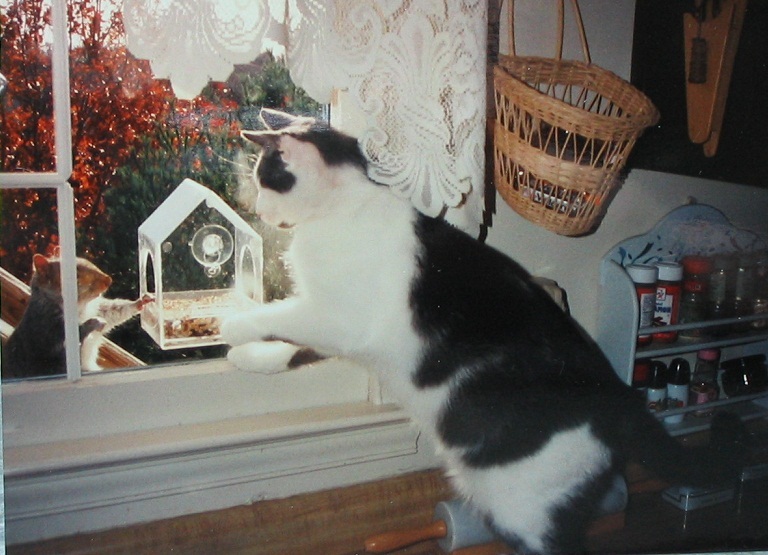 Loved your Deb Ball post today, and that photo of your cat and the squirrel is classic. One of my cats would like to eat squirrels, but I suspect in a fight the better money would actually be on the squirrel. This is based on the fact that Oobie (her real name is bumblebee, but she hasn't been called that in years) went three rounds with a grasshopper that once got into the house ... and gave up in confusion. The grasshopper was unharmed. Linda, if you're still scheduling blog interviews for and around your release, give me a shout - I'd love to interview you over at my blog! There's a big difference between sharing joy and excitement about an upcoming release (which is what you do) and yammering about a book (or any other personal or family accomplishment) ad nauseum, and turning every conceivable topic of conversation into one about MY SUCCESS, MY SUCCESS, ME-ME-ME. We are all genuinely thrilled for you, and it's an honor to share in your excitement. A vicarious thrill... "our" book is coming out next month!!! P.S. Thanks so much for your kind comment about my mother-in-law. I truly appreciate it. I like incessant book yammering. And I've seen stranger couples. I think you're entitled to a little yammering - I mean you're book comes out NEXT MONTH!!!! how exciting is that? I think yammering is the same as anything else, if someone doesn't like it, they don't have to read it. Problem solved! And inter-species friendship that isn't supposed to be possible makes me smile. Cat/squirrel is awesome. I dig the yammering. :-) Yay!!!! Hmmm...I think love always has a chance. You always crack me up. Thanks for that, Linda! Have a great day! yammering seems Ok to me.